Archbishop Thabo Makgoba led the Synod of Bishops in signing the Charter. The Anglican bishops of Southern Africa have signed a charter committing themselves to a range of steps to protect people from abuse in the church. Bishops attending the February session of the Synod of Bishops all signed the charter after a workshop arranged by the Church’s newly-established Safe and Inclusive Ministry group. Safe and Inclusive Ministry has two Provincial Safe Church Officers and each Diocese has its own ministry team. Amendments to the church’s Canons will be proposed to Provincial Synod in September this year after deliberations by the Safe and Inclusive Ministry and the Canon Law Council. We, the Anglican Church of Southern Africa are people of God. Recognising that all people embody the spirit of God that needs to be nurtured and brought into the fullness of life. We recognise and acknowledge that our places of worship and learning have for many caused untold pain, hurt and harm, and have left individuals and families deeply scarred. We therefore commit ourselves to a Programme of Action based on this Charter to promote a culture of safety and inclusion amongst all our people, organizations, institutions and places of worship. And through ongoing education and training to equip all who minister to prevent the occurrence of abuse and create spaces where justice and restoration can take place. And we accept this work of creating as safe and inclusive church as part of our sacred vocation as God’s people in the world. We recognize that a culture of safety and inclusivity needs to be grounded in our theological understanding of who we are as people of God. This understanding informs not only our approach to “being in the world, but not of the world” but also must be manifested in how we “do” Church. We therefore commit ourselves to being a people called to manifest the saving and unconditional love of God. We will promote a culture of safety and inclusion in parishes, church organizations and institutions by theological education and ongoing training to help all ministers prevent the occurrence of abuse. In addition, we commit to boldly confronting the systemic factors which create the context of abuse. In addition, we recognize that a timeous response is of utmost importance and commit to creating processes and structures to ensure this. Providing practical support as those affected go on the journey of healing. We remain committed to the implementation of Act XV, and promote by education and training these standards. This includes ongoing professional development of all ministers of the church as well as a commitment to their continued spiritual growth. As Bishops of the Anglican Church of Southern Africa (ACSA), we met in Synod in Benoni from Monday 18th to Thursday 21st February. ACSA includes the countries of Mozambique, Angola, Namibia, St Helena, Swaziland, Lesotho and South Africa. We welcomed Bishop Dale Bowers, the new Bishop of St Helena, into our fellowship. We rejoiced that Eddie Daniels will be consecrated Bishop of Port Elizabeth on Saturday 23rd February. We were joined by the Vicars General of the Dioceses of Mzimvubu and Zululand. We said farewell to Bishops Martin Breytenbach (St Mark the Evangelist in Limpopo) and Garth Counsell (Table Bay), who will retire before our next meeting – and gave thanks for their ministries among us. We welcomed Presiding Bishop Michael Curry and his team from The Episcopal Church (TEC) for two of our morning sessions. He shared with us the journey of TEC in the areas of marriage and human sexuality; and Safe Church – issues which we worked on during Synod of Bishops. As always, our meeting took place within a rhythm of prayer, worship and fellowship. During our time together we shared at a personal level and wrestled with issues facing the church, local communities and our various countries. In our readings from Mark 8 Jesus encountered various kinds of blindness. The religious leaders were not willing to see spiritually and demanded a sign even when Jesus had been working miracles among them (Mark 8:11). Jesus’ disciples failed to understand what he was doing. He said to them, “Do you still not perceive or understand? Are your hearts hardened? Do you have eyes, and fail to see? Do you have ears, and fail to hear?” (Mark 8:17-18). A blind man came to Jesus for healing. Jesus said him, “Can you see anything?” (Mark 8:23). At first he could not see clearly, but as Jesus prayed for him again his sight was fully restored. Similarly we found that, as we looked carefully and deeply into a number of difficult issues, God began to open our eyes so that we could see and understand better. May God continue to do that work in us, and use us to lead the church into clearer vision on these things. We received a report from the Archbishop’s Commission on Human Sexuality. The main goal of the Commission at this stage is to bring revised Pastoral Guidelines to Provincial Synod in September this year. As part of this process, the Commission will continue to conduct regional consultations in various parts of Southern Africa. 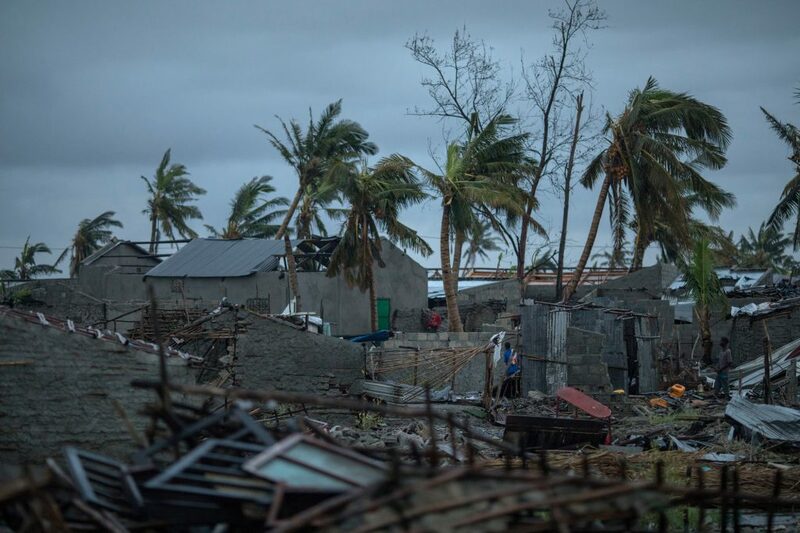 Dioceses, parishes and organisations have been asked to hold workshops based on case studies and using questions that have been prepared and sent to the Diocesan Reference Teams. Feedback should be sent to the Commission by the end of June: humansexuality@anglicanchurchsa.org.za . In all of this we were challenged by the call to learn to live with our differences, and even to live with contradiction. We realised that it will be a long term process in which we listen to God and one another. We have made mistakes in the past and will make mistakes in the future, but we are determined to journey together in the love of God and mutual respect. We are committed to finding and upholding the values of Jesus in marriage and relationships. The Structures that we need to put in place, such as changes to the Canons of the Church, response teams in every Diocese, and a central register to keep records. Each Diocese is expected to set up a multi-disciplinary Safe Church Ministry Team. Training of these teams will take place later in the year, and changes to the Canons will be proposed at Provincial Synod in September. Each of the Bishops made a commitment to the Safe Church process in ACSA. Throughout the workshop it became clear to us that a culture of secrecy about abuse is “demonic” and leads to darkness. Perhaps it comes from a fear of telling the truth, yet it is the truth that sets us free (John 8:32) and leads us into the light. We need to approach these things with deep humility, aware of our own failures, keeping the difficult balance between pastoral care for all involved and legal processes that may be required. The Bishops considered carefully our response to the resignation of Bishop Monument Makhanya of Zululand after allegations of sexual misconduct were received. We supported the Archbishop’s acceptance of his resignation and have commented on this more fully in a Pastoral Letter addressed to the people of the Diocese of Zululand [DOWNLOAD USING LINK] Parallel processes are being set up to care pastorally for all involved, and to institute the required Canonical steps to investigate the allegations. The Synod of Bishops agreed that, after a long journey, the Missionary Diocese of Angola should be granted the status of a full Diocese, with Bishop André Soares as its first Diocesan Bishop. This is an immense achievement and a source of great rejoicing as we recognise how the Anglican Church in Angola has grown. We are looking forward to the inauguration of the new Diocese and to the installation of the first Bishop of the fully-fledged Diocese after Provincial Synod in September. Following the decisions of Synod of Bishops and Provincial Standing Committee last September, the inauguration of the new Missionary Diocese of Nampula – formerly part of Niassa in northern Mozambique – will be celebrated on Saturday 16th March. Former Regional Suffragan Bishop Manuel Ernesto will be installed as the first Bishop of this Missionary Diocese. We rejoiced at the news that the College of the Transfiguration (COTT) has a full complement of 61 students this year, and gave thanks for generous donations that have made it possible for several poorer, women students to attend. Nevertheless it remains a challenge to support our only residential Theological College – and we appeal for your prayers and generosity. A COTT Foundation has been established to raise much needed funds. We also received a preliminary report from the Commission into Theological Education, and look forward to their recommendations at Provincial Synod. We spent some time responding to the report of the Advisory Board on Theological Education by sharing our Diocesan processes to identify, train and nurture those whom God is calling into the ordained ministry. This included a report on progress at St Christopher’s College in Maputo. We found that we can all learn from one another, but were encouraged by how similar our approaches are. To rearrange the layout and presentation of the Canons so that they are easier to follow and use. Please pray for Provincial Synod as they prepare to debate and decide on changes to the Constitution and Canons of ACSA. We had a very helpful talk and discussion on stress, trauma and self-care. In our final reading from Mark 8:27-33, Jesus challenged his disciples, “Who do you say that I am?”. When Peter confessed, “You are the Messiah” Jesus “began to teach them that the Son of Man must undergo great suffering, and be rejected by the elders, the chief priests, and the scribes, and be killed, and after three days rise again.” Peter and the other disciples found this hard to accept – but Jesus insisted that the cross was the only way. In the same way we would have preferred to avoid facing up to the difficult issues before us, especially since they often expose our own failings and weaknesses. But by the power of the Holy Spirit we did our best to address them honestly and in love. We believe that we have come to see many things more clearly during this time. We commend our reflections and work to you and ask you to continue to pray for us in our leadership role. In the name of God we implore you to open your hearts, minds, ears and eyes to what God is doing and saying in the church and world today. Thank you for your partnership in the gospel. We love you in Jesus Christ our Lord and Saviour. 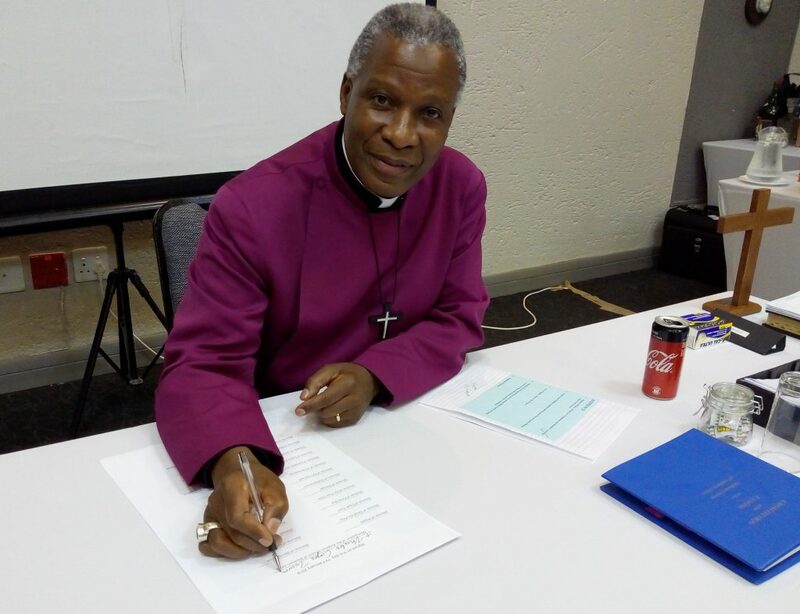 The February meeting of the Church’s Synod of Bishops has issued a Pastoral Letter to the Diocese of Zululand, outlining the steps to be taken after the recent resignation of the Bishop of Zululand, the Right Revd Monument Makhanya. Theological Education for the Anglican Communion (TEAC), an initiative set up by the Primates of the Communion, has outlined the “competencies” that it believes people engaged in various forms of ministry and discipleship should have at different stages in their formation. During a discussion on Theological Education at the February 2019 meeting of the Synod of Bishops, it was recommended that a grid which sets out what training in the Anglican Way is appropriate and necessary for different forms of ministry should be published here. Bishop Michael Curry, the primate of the Episcopal Church will visit the Province of Southern Africa (ACSA) in February to meet with Diocesan Bishops at their Synod, and to give the fourth Bishop David Beetge Memorial Lecture. The three day visit will include Sunday morning worship in Johannesburg, visiting Kwasa College primary school in Springs, the Trevor Huddleston CR Memorial Centre in Sophiatown, participating in Synod reflections, meeting young Christians in Highveld, and those working to raise funds for anti-poverty programmes in the Province of ACSA. “The heart of the visit,” said Archbishop Thabo Makgoba, “is to meet the Anglican bishops of Southern Africa at a regular meeting of their Synod, and to give the fourth Memorial Lecture in honour of the late Bishop David Beetge of the Highveld. Bishop Beetge was a leading cleric in our church and an international advocate who raised funds for the poorest of the poor before his sudden death in 2008. The Fourth Memorial Lecture commemorating the late Bishop David Beetge: Sunday 17th February 2019 at 15h00 at Wits University Great Hall. David Beetge, bishop of the diocese of Highveld, South Africa, speaks to media at the 2008 Lambeth Conference. Many Anglican leaders today paid tribute to Bishop Beetge, who led a diocese that faced many pressing issues, including the scourge of HIV/AIDS, massive poverty, and the influx of immigrants from war-torn African nations like Zimbabwe and Mozambique. At July’s Lambeth Conference, Bishop Beetge passionately talked about the importance of the bishops’ march to London to pressure governments to fulfill their promise to address poverty and other issues outlined in the United Nations Millennium Development Goals (MDGs). “The march will say to governments that people matter. That people matter more than arms, that people matter more than huge bureaucracies and that people must come first,” he said. Bishop Beetge, who had been involved in HIV-AIDS work for the last 18 years, said the mission of the church is “the mission of Christ,” which is to minister to those “living on the edge.” He also said that his diocese is situated in an area that is struggling with 40-45 per cent unemployment and with an HIV-AIDS rate of 40 per cent. “We’ve trained 1,100 home-based workers (for HIV-AIDS) because hospitals can’t cope,” he said. His church is also involved in other social justice initiatives, including literacy training and care for 10,000 orphans in the area. Born in 1948 in Witbank, South Africa, Bishop Beetge received his theological education at St. Paul’s Theological College in Grahamstown. He later received both his bachelor and honour degrees in theology at the University of South Africa, and his master’s degree in theology from the University of Natal. Ordained a priest in 1981, he served in various churches before becoming vicar general, and later the first bishop, of the diocese of South Eastern Transvaal in 1990. In 1998, the name of the diocese was changed to the diocese of the Highveld. Bishop Beetge also served his church in many capacities at the provincial level, including as dean of the Church of the Province of Southern Africa, and as liaison bishop and chair of the Anglican HIV/AIDS programs for Southern Africa.